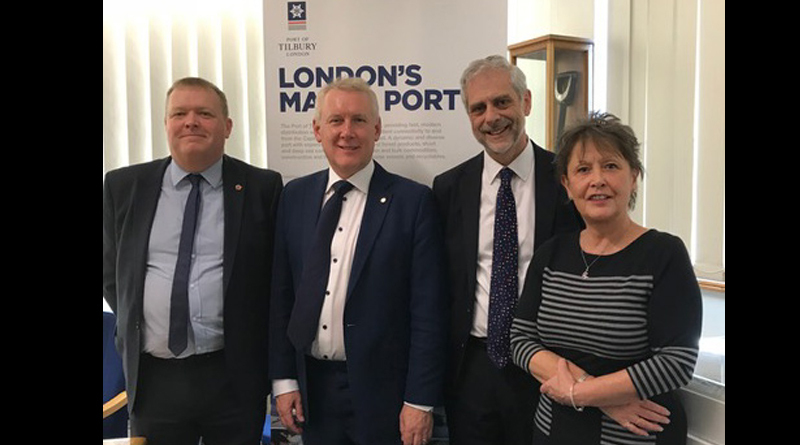 Following a recent meeting at the Port of Tilbury, TCAG felt a formal comment from Essex Chamber of Commerce was necessary to clear up issues not mentioned within the press pack Highways England distribute to gain support for this crossing. Please read our letter to Mr Burch (Director of Policy) and let us know what you think! As vice chair of the Thames Crossing Action Group (www.tcag.info) I represent c.10k people across the Borough of Thurrock. I am seeking your opinion with regard to Highways England Scoping Report issued (Oct 2017). 13.4.22 >> “Heart disease and respiratory disease are major causes of death – For mortality due to cardiovascular deaths, Thurrock is significantly worse than the England average, For mortality due to cancer, Thurrock is again significantly worse than the England average”. With respect to your recent meeting at The Port of Tilbury with Tim Jones, there was no mention in your report of how impacting the design scope of the Lower Thames Crossing will be to Thurrock residents and businesses long term – a worrying oversight? When a Government body like Highways England report such dire health conditions as a ‘here and now’ statement, would you not agree the Lower Thames Crossing legacy would be a poorer life expectancy, higher incidents of respiratory disease and cancer for the future of Thurrock. To note; all conditions mentioned in their report have been widely attributed to poor air quality, mainly pollution from Diesel Internal Combustion Engines used in Motor Vehicles and HGVs. While I support ‘sustainable’ growth and regeneration, I would like to think a body like Essex Chamber of Commerce would consider the wider effects a route like the Lower Thames Crossing would have on local communities. Bearing in mind, these communities directly fuel the business growth you mention. Yielding high productivity and up time is a key deliverable when liberal £8bn growth plans are mooted – Can this new route really bring all this to the region? Tilbury (and Thurrock), noted for its extreme poor health (much lower than the UK average) begs the question; can this new route deliver high productivity, when communities of Thurrock would be succumbed 70% more pollution than they are subjected to today? 70% increase in pollution will lead to further impacts to our NHS in the southeast, lower than expected up time for local business and potentially higher operating costs for businesses in sick pay and time off due to employee ill health. I believe the £8bn target is a very stretch objective indeed considering both sides of the equation. With a potential increase of 70% crossing capacity, Thurrock really does suffer here, regardless of civil engineering designs to mitigate pollution dispersion patterns. The bottom line for Thurrock is an increase of airborne pollutants, while having less green belt available to filter this harmful by-product of vehicles, business and growth. Taking the recent scoping report by Highways England (p.240 s13.4.22), literally admitting how poor Thurrock’s health is. Do you not think the Lower Thames Crossing is literally a free issue death certificate, endorsed by Essex Chambers, Local Businesses and our Government? Look forward to your views on this specifically! I totally appreciate sustainable growth, wellbeing and prosperity for everyone, however, this road proposal will not address the continual issues the A282 sees on a daily basis, this is the root cause that needs to be addressed, and promptly! To free up capacity on a strategic route like the A282, a pragmatic approach would be to remove localised traffic from this bottleneck crossing. Enabling further growth, while reducing crossing times, accidents and pollution. The alternative would be to join the Essex portion of the M25 to the Kent portion of the M25 with a motorway standard road. This route was known as Option A14. It was removed from the line up during the 2016 consultation. Highways England suggested this option would remove 40% of the strategic business users form the A282 crossing, finally completing the M25 orbital network with a motorway standard crossing (via ~7km tunnel). No real world reasoning was applied to its removal. The past 50 years in Thurrock have seen very little or no investment in rail. Localised tunnelling could have been implemented, opening up connectivity between towns north and south of the river – from London out to Essex. Our ports heavily rely on road freight and the use of HGV’s. This is a very poor long-term business model when rail offers so much more capability if invested correctly. Our Government should be planning real growth strategies for the Southeast with longevity in mind, offering all round value for money. The Lower Thames Crossing is not fit for purpose, already out of date, and goes right against our very own government’s air pollution policies. We must emphasise, Thurrock business will rely on high productivity to prosper, how will this equation balance if poor health increases – I hope our Ports and Essex Chamber of Commerce realise this simple fact? Essex Chamber of Commerce should be challenging our Government to do the right thing by investing in infrastructure projects that are sustainable in supporting growth without impacting human health. Business needs us, just as much as we need business. Together let’s get the balance right! I look forward to your frank and honest opinion, fully appreciate your time reading this, and hope I’ve drawn your attention beyond the ‘Glossy Press Pack’ Highways England issue.